If you only have one day and you want to do it all, then the West Rim should be your destination of choice. Called Grand Canyon West, it’s a part of the Hualapai Indian’s 100 mile long reservation bordering the Colorado River. Opened in 1988, the Hualapai have created a destination where visitors can really experience all that the canyon has to offer. 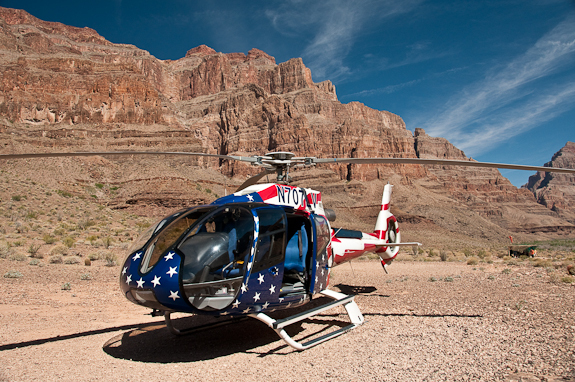 I recently completed one of the Grand Canyon Helicopter Tours offered by TourGuy.com while in Las Vegas. Just one of dozens of adventure tours offered by TourGuy.com, this trip offered everything I was looking for in one convenient package. Read the entire article and see the slideshow with images from the Grand Canyon here.